Last Saturday, I met up with two of my college classmates and a former colleague from SEMPhil. Well, we were all actually employed at that company at some point and Jozen was the only who opted to stay. It's been so long since we saw Jozen! Here are the pictures! "Ang taba mo!" 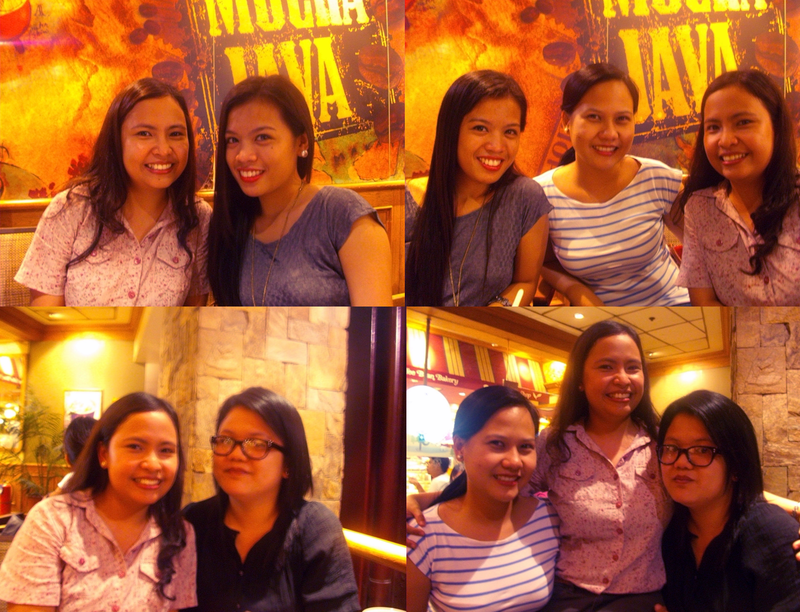 -- Jozen's (in button down blouse) first three words when she saw me. Haha! After an hour or so of updates and chit-chat, we went right on to the movie screening. I never watched the first installment of Sherlocke Holmes but I still did enjoy the movie. Robert Downey, Jr. was just hilarious. Hahaha. Can't forget the scene where he dressed up as a woman and of course, his camouflages! 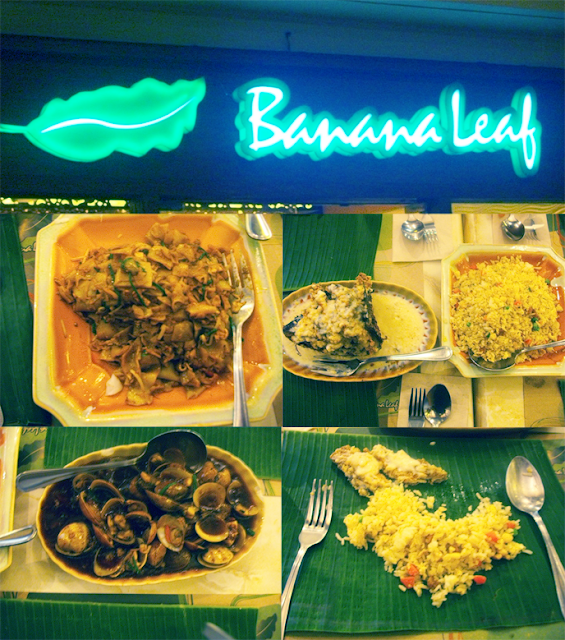 Banana Leaf was the chosen restaurant to have our dinner. I especially enjoyed the spicy flat noodles that Fritzie chose (food from her childhood~) but to be honest I don't remember the names of the dishes. Haha. So, clockwise, spicy flat noodles with shrimp, fried Tilapia in creamy white sauce and fried rice, the clam dish (I didn't taste this one) and my banana leaf plate filled with all the yummy Asian food goodness. You should definitely try the flat noodles dish! I loved it. I don't like spicy dishes (well, except for this and Bicol Express) but this got me going to try other yummy spicy food out there! The fried rice was also very good, there were little bits of jam-packed salty flavor that pops in your taste buds every time making the fried rice more enjoyable, I'm not really sure though if those were anchovies or diced deep fried pork. There was actually a group picture but it was so blurred.